55.8% of Palestinian college graduates under the age of 29 were unemployed in 2017, compared with 41.5% in 2007, according to a report released Sunday by the Palestinian Central Bureau of Statistics (PCBS). The report summarizes information collected in 2017 on Palestinian youths aged 15-29, which amounted to 29.8% of the total population in the Palestinian Territories at the time. According to the report, 37.8% of males and 72.0% of females with undergraduate or graduate degrees within the relevant age group were unemployed. The highest unemployment rate, 69.6%, was registered among people who studied to be educators and teachers. Law school graduates saw the lowest rate of unemployment, at 25.7%. The report did not break down the data to indicate the differences in unemployment statistics between youths living in the West Bank and those living in the isolated Gaza Strip. A different report released last week by the PCBS showed the total unemployment rate for all age-relevant groups in the Palestinian Territories to be 32.4% in the second quarter of 2018. The report also showed an unemployment rate of 53.7% in the Gaza Strip compared with 19.1% in the West Bank during that period. 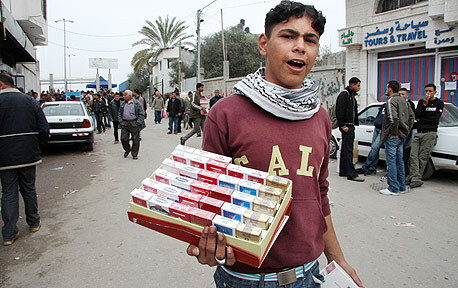 The political unrest and continued violence between Israel and the Palestinians over the past five decades affect the economic state in the Palestinian Territories and specifically in Gaza, from which Israel withdrew in 2005 but retained control over its borders, airspace, and sea access, imposing a continuous blockade that severely limits the movement of goods and people. The report released Sunday showed a 29.2% overall poverty rate in the Palestinian Territories, with 13.9% of residents in the West Bank and 53% in the Gaza Strip living below the poverty line. Citing a 2015 survey conducted by the PCBS, the report stated that 24% of all Palestinian youths expressed a desire to emigrate. Of the youths surveyed, just 15% of those living in the West Bank said they wished to relocate, compared with 37% in the Gaza Strip.